When companies relentlessly pursue supplier rationalization via strategic sourcing, and as their market baskets often get bigger when they rebid a category, a few things happen. Your chosen suppliers begin to “settle in” and start managing you via their account management processes. And if you’re a good procurement group, you might even manage them, too, via a formal supplier management process – shocking I know! So, let’s return to the example of office supplies/equipment and related services. 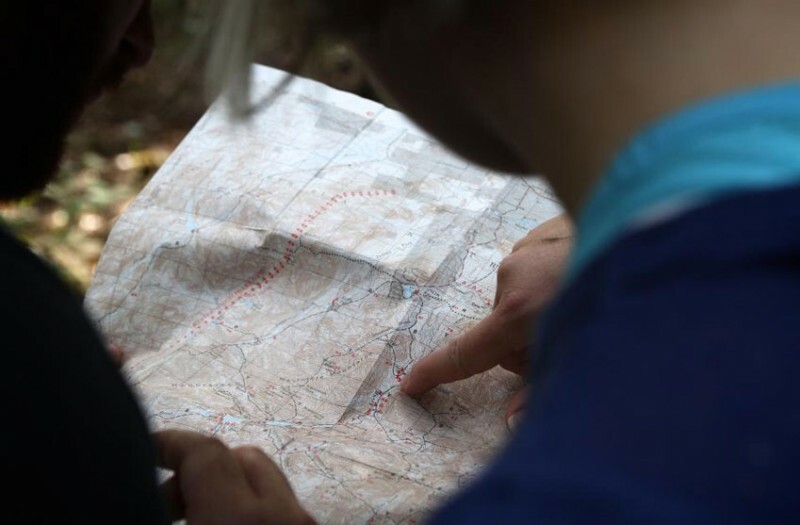 You can work with your incumbent supplier to improve your service levels, improve demand management and add some value-added services to the relationship to accomplish goals beyond savings, such as energy management, diversity, sustainability, employee engagement, localization and standardization efforts, to name a few. You can also grow the market basket into adjacent services for IT, facilities, print, promotions and other areas. And you can dovetail your efforts with adjacent initiatives such as e-procurement, p-cards, tail spend management and so on. Now, if you use Staples (or Office Depot), the firm is very happy to engage you with its Staples Advantage program and help you craft a 3-5 year engagement plan for such continuous value adding. 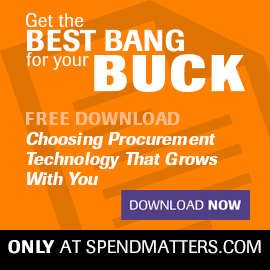 The firm knows how procurement folks are measured and can craft multiple years of year-on-year savings. If you only get savings credit going out 1 year, this can be very attractive indeed. Subsequently, the relationship between you 2 now gets closer and “stickier” on a services dimension and not just on SKU breadth. The category begins appearing as less of a commodity and your potential switching costs start going up. For example, if you have hundreds or thousands of lines items in your electronic catalog, it can take a fair amount of work to switch over – especially if you’re building your own catalog with SKU-based pricing (including rebates) rather than using punchouts and a percent-off list approach. And there’s just the general change management of switching – especially as the number of sites, spend owners and requisitioners goes up. Suddenly, this category on a sourcing “wave chart” begins to shift toward higher effort and less payback (and will probably drop off your radar completely if you get no credit for cost avoidance). But, you don’t care because underlying it all is an assumption that the market is a “leverage” commodity and you can always bid it out, right? Wrong. If Staples actually acquires Office Depot and you have a market of one national supplier in the US, that hammer in your back pocket just became a feather duster. This is an unintended consequence of too much strategic sourcing done over too long a time. You can't just aggregate demand in the short term and expected that supply will not similarly be aggregated in the medium term. Increased buyer power almost inevitably leads to increased supplier power, so you better plan for that as part of your category strategy. Such consolidation occurs in every market, whether it’s direct materials, MRO, marketing agencies, transportation/logistics and even the e-procurement market. There are also some things you can contractually handle – for example, sourcing to a specification rather than just a temporary SKU that can disappear after a merger – but regardless, CPOs are understandably not overjoyed with the planned merger. A few that I’ve talked to aren’t happy, but they’re also not necessarily losing sleep over it either, which I’ll discuss in a subsequent post. Some use group purchasing organizations (GPOs), which may only go so far and last so long. Some are dabbling with Amazon. Some use alternative sources/channels/strategies for selected items, such as copy paper and printer toner. Still, for most firms, they better start planning now. If the deal goes through, it won’t be a matter of if there’ll be a price increase, but rather when and by how much. Try locking down your pricing, or having your GPO do so, and you might find out that there might be some strong resistance. That tells you something! This shouldn’t be a shocker given that the combined entity would basically have a monopoly at this product/service market basket level even though the individual line items are still basically commodities. As an aside, though, it’s important to realize that there are very few true commodities that you just “set and forget.” Even managing pure commodities can be quite complex as we’ve written extensively about on the site or on our sister site, MetalMiner. But, how does this relate to Staples? Well, consider “price majeure” cases of Chinese suppliers reneging on fixed prices contracts – or any supplier claiming no product availability at those prices. Now consider the curious case of when Staples lowballed a State of New York contract with 219 items offered at a penny a unit (including a $1,000 paper shredder), creating a near farcical situation that The Wall Street Journal reported on. Yes, lowballing occurs all the time, but you may want to review your Office Depot/Office Max contracts for how well those rates you locked in on SKU X will transfer to SKU Y in a Staples catalog. And of course, you should beware when you punch out to their website, they have lots of stuff to offer up to you beyond your core items, and even if you lock that down, there’s always the p-card channel. And there’s even more things they can do (e.g., lower the quality for the same SKU), and if you somehow manage to lock down everything and actually become a non-attractive client, it’ll show up in the account profitability analysis, and they will unwind the contract any way possible. They’re not mean, but they have a business to run! OK, let’s move onto a mega question that keeps appearing for this mega deal: Is Amazon a player in this market that counters the seeming monopoly? Well, even though Staples and Amazon both would like everyone to believe that Amazon Supply is a competitor that will keep the “pencils sharp” (pun intended) in the industry, Amazon Supply is simply not a replacement for the large enterprise segment of the office supplies and equipment spend category. We have covered Amazon Business in excruciating detail as you can see here, here, here and here. It has neither the physical retail presence – quaint as an actual store might seem nowadays – nor the additional value-added services that are part of a Staples Advantage offering. Keep in mind that isn’t to say that they won’t be competitors in the longer term, but I’ll save the scenario planning for another post. This scenario planning is cogent in the short term though, because Staples will not allow more than 10% of Office Depot revenue to be carved out to a future competitor as part of the merger deal (basically a ‘poison pill’ if you will), and I can’t think about how that happens operationally or commercially. How could a spun out “mini me” competitor match the mega manufacturer/wholesaler rebates that a Staples/Office Depot combination currently commands? Anyway, we’ll take a look forward at some scenarios and also discuss some countermeasures that procurement can take immediately – besides calling your local lobbyist – and also in the future. What’s your take on the deal? Do you think it’ll happen? If not, why? If so, what do you think will be the response to a potential price increase? For example, if you don’t get much credit for cost avoidance, how much effort do you really expend fighting it versus tackling other priorities? In our next post, we’ll discuss some of the things that a CPO should consider and think about doing immediately.